Disability groups across the country have united in protest against proposed cuts that could leave people with disability without access to transport. In a joint statement released on Tuesday, the group of more than 25 different organisations, called on senators to block the mobility allowance bill that is currently before the Senate. They argued the current mobility allowance was already “inadequate” to cover the full cost of transport for many people. “This bill will make things much harder, with very little savings for the government,” the group said in the statement. “Any cuts to the mobility allowance will impact the capacity of many people to seek and retain employment and volunteering opportunities. Under the social services legislation amendment (transition mobility allowance to the National Disability Insurance Scheme) bill 2016 only those eligible for the NDIS would have access to transport funding. According to the group, only 460,000 of the approximately two million people with disability of working age will be transitioning to the NDIS, which means the bill will impact many people with disability who will not have access to the NDIS, including people over the age of 65. 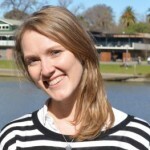 People with Disability Australia advocacy projects manager and Disabled People’s Organisations Australia representative Samantha French said the mobility allowance provided “vital transport funding for people with disability”. “The changes, put forward by the federal government, will leave many people with disability without access to the transport they need to go to work, get an education and be a part of their communities,” French said. She said people with disability needed more access to transport, not less. “The mobility allowance goes some way to address the additional expenses for people with disability who can’t access public transport. This small amount recognises that for many people with disability, current transport is often not accessible, forcing them to rely on taxis,” she said. exacerbate the already considerable costs involved for people with disability entering or re-entering the workforce. These additional costs can outweigh the economic benefits of having a job and be a disincentive to looking for work. French raised concerns that the bill could set a precedent of cutting essential supports that should be available for all people with disability across Australia. “We are also concerned that this bill sets a precedent for further cuts to essential disability supports by restricting access to them only to people with disability who are eligible for the NDIS,” she said.